Raymond Tomlinson, the inventor of modern email and a technological leader, has died, his employer said Sunday. Tomlinson died Saturday, the Raytheon Co. said; the details were not immediately available. Tomlinson wrote and sent the first email on the ARPANET system, a computer network that was created for the U.S. government that is considered a precursor to the Internet. Tomlinson also contributed to the network's development, among numerous other pioneering technologies in the programming world. At the time, few people had personal computers. The popularity of personal email wouldn't take off until years later and would ultimately become an integral part of modern life. "It wasn't an assignment at all, he was just fooling around; he was looking for something to do with ARPANET," Raytheon spokeswoman Joyce Kuzman said. The first email was sent between two machines that were side-by-side. Tomlinson said in a company interview that the test messages were "entirely forgettable and I have, therefore, forgotten them." But when he was satisfied that the program seemed to work, he announced it via his own invention by sending a message to co-workers explaining how to use it. "I'm often asked 'Did I know what I was doing?" Tomlinson said in his speech when he was inducted into the Internet Hall of Fame. "The answer is: Yeah I knew exactly what I was doing. I just had no notion whatsoever about what the ultimate impact would be." Tomlinson is the one who chose the "" symbol to connect the username with the destination address and it has now become a cultural icon. "It is a symbol that probably would have gone away if not for email," Kuzman said. The symbol has become so important in modern culture that MoMA's Department of Architecture and Design added the symbol into its collection in 2010, with credits to Tomlinson. Tomlinson held electrical engineering degrees from Rensselaer Polytechnic Institute and the Massachusetts Institute of Technology. And despite being a famed programmer and recipient of numerous awards and accolades, co-workers described as humble and modest. 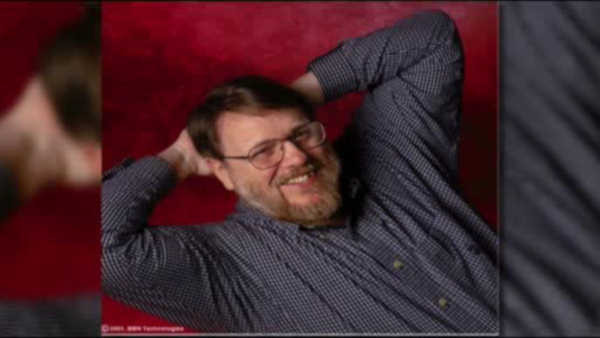 Harry Forsdick, who commuted for 15 years with Tomlinson, said he was the best programmer at the company and many younger engineers aspired to be like him. He described him as a "nerdy guy from MIT" who didn't thrive on the glory that came later in his career but that it was well-deserved. "Like many inventors, the invention for which he is known, email, probably represents less of his talent and imagination than many other ideas and projects he worked on over his career," Forsdick said. He lived in Lincoln, Massachusetts, where he raised miniature sheep with his partner. Attempts to contact his family were unsuccessful.